In this episode author Gena Philibert Ortega and I talk about her new book From the Family Kitchen: Discover your Food Heritage and Preserve Favorite Recipes. Who doesn’t love yummy home cooking? There is a lot to be learned about our ancestors, and in particular those elusive female ancestors, through a study of our culinary history. Speaking of grandmas, I finally found my awesome grandma in California in the 1940 census and it was a snap because the California index along with several other states on July 13, 2012 by Ancestry. Grandma and Grandpa were just 3 months away from moving in to their first real home which they were in the process of having built, and from the birth of their first child, my mom. FamilySearch continues to add records to the free familysearch.org website. They just announced that they have added the 1881 and 1891 Scotland Census Indexes and Millions More records for Brazil, China, Ecuador, Ireland, Italy, Portugal, Spain, and Other Countries. We’ve got an entirely new website for you, and thanks again to all of you who have been writing in. I know we’ve had some hiccups along the way getting the Premium feed switched over, but that’s up and running now, and let me remind you, Premium Members are now getting all 88 Premium Episodes published to date. In the past you would get the most recent 6 episodes and then a new one each month. But now, you have a wealth of episodes available to you. I can’t tell you how thrilled I am to be able to make all of the content available to you Premium Members, it’s something I’ve wanted to do for a long time but the old site just couldn’t handle it. Premium Membership is now a HUGE value – same price, at least for now - $29.95 gets you one whole year’s access to all of those episodes. Lisa’s Answer: Sign in to your premium membership. From the menu go to Premium Episodes and there you will find instructions for updating your premium podcast feed. It’s important to delete your current premium feed in iTunes first and add the new feed. The need feed will download all the episodes for you and then bring you the new ones as they are published. Lisa’s Answer: Thank you very much Mike I really appreciate it! In Genealogy Gems podcast episode #136 I gave you a neat solution to the demise of iGoogle. As you know Google has announced it will be discontinuing iGoogle which is the way you can customize the Google homepage just for you, and here on the podcast we’ve talked many times about how to customize it specifically for genealogy research. Now while it won’t go away until later in 2013, there’s no time like the present to make a switch and Netvibes.com is a great alternative. So in our last episode I walked you through a special process for converting your tabs and your RSS feed gadgets to a new free Netvibes account to get you started in the transition. And I also published a video at the Genealogy Gems YouTube channel to show it to you step by step. I you've been trying to get your genealogy vibe on by converting from iGoogle to Netvibes but you’re having trouble (and I've heard from a couple of you) rest assured, it does work. However there are a few things I want to remind you about. First, this only converts your iGoogle tabs and your RSS gadgets such as gadgets you have for following blogs and podcasts. It can’t convert gadgets that were made specifically for iGoogle because they are coded for iGoogle. However, don’t worry because there are lots of great Netvibe gadgets that can do many of the same things. Also, in this conversion, it is MANDATORY that you follow the directions exactly! It won't work otherwise. So for example, while it might seem like it should be easier to just drag your mouse over the code to highlight it for copying rather than right-clicking and using SELECT ALL which I tell you to do in the instructions, don’t do it, because I found that it absolutely can make a difference. I don’t know what that is, I’m not a programmer, I just play one on TV, so that’s why I really tried to carefully write out the instructions in the show notes, and demonstrate them in the video. I know that it may seem like you are doing too many extra steps by copying and creating an .XML document just to turn around and convert it and then copy it as a .TXT document, but every single step as I described it is critical to the conversion working properly. So if you’re having trouble, I would recommend printing out the instructions from the show notes page, and doing each step and checking it off to be sure you don’t miss anything. But please, if it gets frustrating, just know that you do not have to convert iGoogle. I don’t want you to get bogged down with the conversion and pull your hair out. Simply start a new Netvibes dashboard and add the feed manually by using copy and paste. It will take a little longer to make the transition, but it’s not that bad and it will save you from further headache. And stay tuned because I'll be doing additional videos showing you how to start a Netvibes page from scratch and then how to really jazz it up which is going to be really fun! Now I just want to answer a couple of specific listener questions in case it will help the rest of you. Don wrote in to say that sometimes the Command bar wasn’t visible in Internet Explorer, and he’s absolutely right. Some folks will not have their Command bar activated so that might cause some confusion when you try to follow the conversion instructions. Lisa’s Answer: Like iGoogle, Netvibes is on the "cloud" and resides on the Netvibes website. This means it can be accessed by any computer, regardless of operating system. It also means you can access your homepage from any computer no matter where you are with your user name and password which makes it very flexible and portable. Lisa’s Answer: Netvibes has been around about as long as Google which is quite a while in technological terms, and I notice the same thing with Google when it comes to user names being used up. What I would recommend is to just get a little more unusual with the name you choose. Kay writes: “I listened to the most recent Episode 136 and was so excited! First of all, it's terrific news about the Premium service and the access to all the podcasts. This has always been very frustrating to me - I listen while I walk and then most of the time I would forget to save the podcasts on my hard drive before they were gone forever. So glad to hear there is a solution to iGoogle. BUT the transfer isn't working. When I attempt to convert the source file from my iGoogle page to the OPML format, I get one of two results. Either nothing because the file is "too big" or I get an OPML file that's only about 8 lines long - this is a file that will not import into NetVibes dashboard. I just get "0 files imported". Lisa’s Answer: I heard from a couple of you that you also got an error message like Kay did saying your iGoogle code was too big to convert, and you told me you have pretty big iGoogle pages. I have a pretty large iGoogle page with 12 tabs full of gadgets and I just went through the instructions again and it converted. I don’t know why that happens, and I can’t seem to replicate the problem, so the best thing I can suggest is that you make a list of the iGoogle gadgets that you have – the ones that are not RSS feed gadgets – and then delete them before going through the conversion process. That should make the overall file smaller. And then you will have a list of the kinds of gadgets you were using in iGoogle so that you can look for replacements in NetVibes. And the "zero files" result is the same one I got when I was just highlighting and copying, or when I didn't save the code into an XML file first and then re-open it and copy it into the conversion box. I'm guessing with your know-how you might be doing some short cuts that just don't work in this case. Reset your homepage – Janice is talking about the page that the little house button on your browser is set to. 6. That will reset your Home button on the Firefox browser back to Google. Lisa’s Answer: When you install the toolbar it will set the page you get when you click to open a new browser tab page, to a search page which shows a search box and a Genealogy Gems logo. If you don’t want a search page on new tabs, you can change it back to the default page that shows your most recent pages as options to click when you open a new tab. 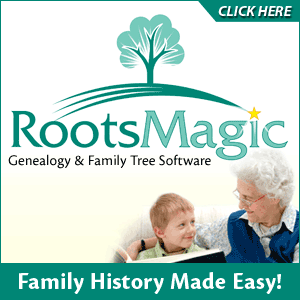 Thanks to all of your who have installed the free Genealogy Gems Toolbar. I really want you to enjoy it and hope these customizations help you do so! When you click this link to buy Gena’s book you are helping to financially support the free Genealogy Gems Podcast at no additional cost to you, and you'll save money.Thank you! Get Gena's book here. Please be sure to click the SUBSCRIBE button while you are there!